Take an existing Bath and transform it into a relaxing oasis. Or, convert an existing space into an updated bathroom. Your bathroom is one of your most personal spaces, where you begin and end each day. What atmosphere do you want to create? It is your private sanctuary, a place to decompress after a long day, a toddler’s water park, teenager’s beauty salon, or everyone’s rest stop! Our New Jersey team at Austin Fanning General Contractors will help plan the perfect makeover. Are you looking expand an existing bathroom for a growing family, add an addition to “his/her” space, tub to shower conversion, update for the sale of your NJ home or has your style simply changed and you would like a complete renovation? AFGC's remodelers will present you with the best options and guide you in the decision making process. Do you want to create a Zen spa? We will design and renovate your sauna room with clean lines, modern fixtures, earthy and organic colors and materials. Is a country cottage style sink your look? Who says a farmhouse sink can only be used in the kitchen? Remade wood floors and sliding barn doors for authentic rustic charm. Longing for the days of a summer's vacation raindrop shower head? A renovation including glass and mosaic tile in cool shades of aqua, teal, sea-glass, and sand combined with oversized waterfall faucets, and teak accessories will make you feel like you’re on vacation at the beach every day. Let’s replace that boring tub/shower combo with a romantic Ball and Claw bathtub, drop an ornate chandelier overhead, and add vintage hardware. Expanding your outdoor living space with a pool and jacuzzi? Don’t forget about adding an outdoor restroom complete with an indoor/outdoor shower! Nothing is more convenient and luxurious for you and your guests to have all the amenities outside that you have inside. Plus, they are a godsend for gardeners or the neighborhood kid’s favorite backyard to get dirty in! 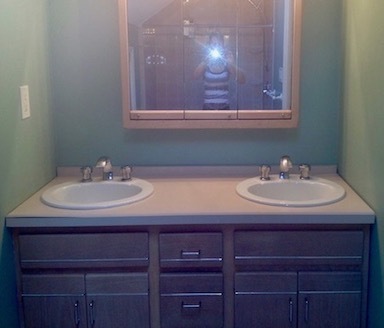 Need the kids ready for school on time in a Jack and Jill bathroom? A Jack and Jill rebuild with two of EVERYTHING - two vanities, two private showers, areas and two private lavatory areas - should keep the kids from bickering first thing in the morning! We spend a lot of time in our washrooms! There are so many options nowadays when designing the makeover of your dreams… marble, quartz, steam rooms, whirlpools, glass surrounds, open walk-in showers, dual vanities, floating vanities, privacy areas, skylights, tile floors, electric bidets, wood floors, radiant heated floors, towel warmers, electronic/WiFi controlled lighting, temperature control, and water temperature capability, and yes...even TV! 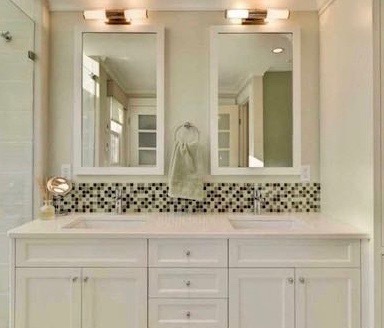 Bathroom remodeling NJ and additions still give you one of the biggest returns on your investment. Keep it realistic and within the value of your home, your geographic area, and market value. Always remember to keep it functional for your lifestyle, consistent with the upgrade of the home, and within your budget...but don’t be afraid to use your imagination! AFGC a most trusted New Jersey remodeler will help your dream become a reality!